Opini is managed by Asia Opinions. Their proprietary survey tool, SurveyGoo provides direct access to more than 10 million panellists in 50 countries, including more than 3 million in Asia. As their name implies, Asia Opinions focuses on online research for Asian markets, Australia, as well as the UK. Becoming a member of Opini quick and easy. Simply fill out their registration form (by clicking the “join now” button above) and you will become a member of the panel. 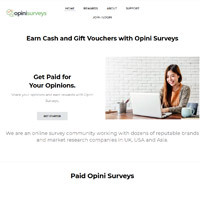 Opini will email you when new online survey opportunities arise. By becoming a new member, you will be eligible to win $15 just for completing the profilers available in your account. 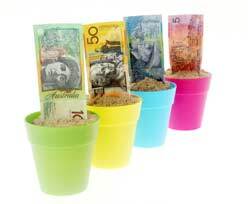 Earn cash for every online survey or study you complete. Request a PayPal payment when your account reaches a balance of only 15 AUD. Most online surveys offer rewards payouts between 0.60 to 15 and for surveys that require offline diaries or product trials, the reward offered increase dramatically to $15 – $30, making the 15 minimum to cash out is easily obtainable. Online surveys will vary in length between 5 minutes and 25 minutes. Survey topics range, however many are designed to gauge consumer reaction to specific adverts or alternatively, to new products before they are launched publically. Not only does Opini offer online surveys, but they also offer offline assignments such as telephone interviews, focus groups, web cam surveys, video diaries and bulletin boards. Because these assignments will take more time to complete, you will be paid more if you are selected to participate (amounts are stated above). In the case of both online and offline assignments, Opini will e-mail you to ask if you are interested in participating. Your participation is completely voluntary. 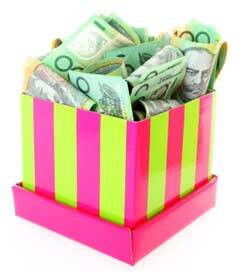 Earn between 0.60 to 15 per survey, and AUD 15 – AUD 30 for things like product testing, diaries, etc.